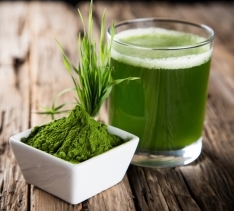 Home » Food and Nutrition » Chlorella vs. Spirulina: What’s the Difference? Chlorella vs. Spirulina: What’s the Difference? As a kid I remember swimming in lakes and feeling clouds of green algae touch my feet. Back then, I just knew algae as that creepy green stuff at the bottom of the lake. Little did I know that algae are actually full of incredible health benefits. Chlorella and spirulina are specific algae supplements that have risen to “superfood” fame in recent years. For a greater understanding of each algae, let’s take a closer look at chlorella vs. spirulina. Chlorella vs. Spirulina: How Are They Different? Many people often confuse chlorella with spirulina. Although both algae are waterborne organisms, there are important differences between them. Chlorella is a spherical-shaped single-celled micro-organism with a nucleus, while spirulina is a spiral-shaped, multi-celled plant which doesn’t have a true nucleus. Spirulina is also not considered a true algae, but rather a blue-green algae, or a cyanobacteria. It’s also related to other sea vegetables such as wakame, arame, kelp, nori, and dulse. How else are chlorella and spirulina different? The growing conditions of chlorella and spirulina are very different. Spirulina grows best in low-alkaline conditions such as freshwater rivers, lakes, and ponds. It also requires moderate temperatures and lots of sunshine in order to grow. Chlorella is also grown in fresh water, but it presents more of a challenge to harvest due to the other organisms that occupy the water. The way each algae is prepared is also quite different. Chlorella has a hard and indigestible cellulose wall, which means that chlorella must be processed before the human body can metabolize and break down its nutrients. The processing procedure is expensive, and therefore chlorella costs more than spirulina. Spirulina on the other hand can be consumed easily due to its digestible cellulose wall. Chlorella and spirulina are among the most nutritious foods available today. However, based on nutrient content, spirulina is considered the healthier of the two algae. Spirulina is a better source of protein, essential amino acids, zinc, calcium, potassium, iron, vitamin C, vitamin D, vitamin E, and B vitamins including B1, B2, B3, B6, and B12. Spirulina is also considered to be the best source of gamma-linolenic acid compared to any other algae. Due to its dark green color, chlorella is considered the better source of chlorophyll. Chlorella vs. Spirulina: What Are the Health Benefits? Although there are certain differences between chlorella and spirulina, each algae also shares a variety of similar health benefits. Regular consumption of chlorella and spirulina can help with detoxification from heavy metals and toxins, including cadmium, mercury, uranium, and lead. A study published in the journal Nutrition Research and Practice in 2009 (1) found that chlorella detoxifies heavy metal toxicity, including cadmium. Another study published in Clinical Toxicology in 2006 (2) found that a combination of spirulina and zinc effectively decreased the amount of arsenic in the body by 47%. In the study, 24 patients with chronic arsenic poisoning were given 250 milligrams of spirulina extract and two milligrams of zinc twice daily. Chlorella and spirulina have both been found to protect against cancer. A study published in the Journal of Zhejiang University SCIENCE B in 2009 (3) found that chlorella helps fight cancer by strengthening the immune system and enhancing the action of T cells to help fight cancer cells. Another study published in the Annals of Hepatology in 2014 (4) found that spirulina significantly reduced the amount of human pancreatic cancer cell lines. 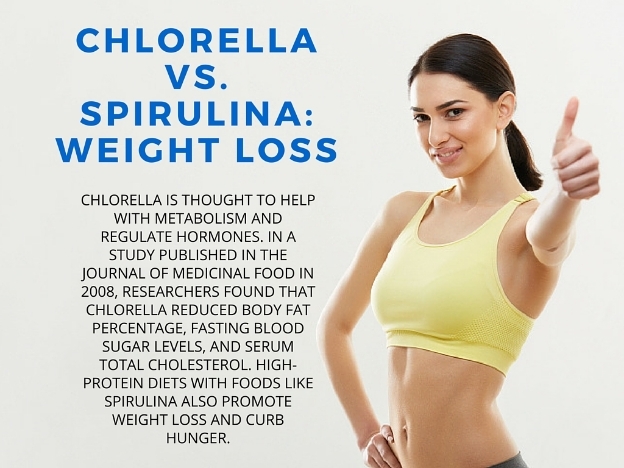 It’s also fair to compare chlorella vs. spirulina weight loss benefits. 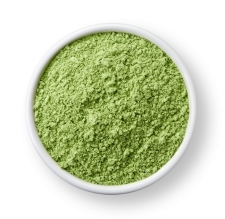 Chlorella is thought to help with metabolism and regulate hormones. In a study published in the Journal of Medicinal Food in 2008 (5), researchers found that chlorella reduced body fat percentage, fasting blood sugar levels, and serum total cholesterol. High-protein diets with foods like spirulina also promote weight loss and curb hunger. The study published in the Journal of Medicinal Food also found that 8,000 milligrams of chlorella daily can help lower cholesterol. Spirulina has also been shown to decrease elevated blood cholesterol and prevent atherosclerosis. An eight-week study published in the Journal of Nutritional Science and Vitaminology in 2010 (6) found that spirulina decreased LDL cholesterol levels up to 41%. This study suggested that consuming greater amounts of spirulina would lead to a greater reduction of LDL cholesterol. The anti-hypertensive effect of chlorella was reported in the journal Clinical and Experimental Hypertension in 2009 (7). The results from the study suggested that chlorella significantly reduced high blood pressure. Another study published in the journal Nutrition Research in 2013 found that the phycocyanin in spirulina is responsible for the blue-green algae’s antihypertensive effects. In a study published in the World Journal of Gastroenterology in 2013 (9), researchers found that chlorella supplementation significantly lowered aminotransferase liver enzyme levels in patients with hepatitis C. A study published in the Journal of Medicinal Food in 2013 (10) found that the effects of blue-green algae such as spirulina on inflammation and oxidative stress can contribute to the prevention of non-alcoholic fatty liver disease. A study published in the Nutrition Journal in 2012 (12) found that chlorella supports a healthy immune system response through the improvement of natural killer cell activity. A study published in the Journal of Nutritional Science and Vitaminology in 2003 (13) indicated that chlorella’s antioxidant activity may prevent diabetic complications such as cataracts. 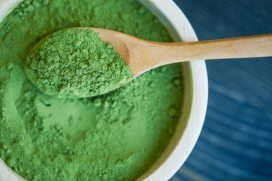 Chlorella is also thought to slow the aging process thanks to its high levels of vitamin A, vitamin C, and glutathione. In a study published in the journal Clinical Laboratory in 2013 (14), researchers found that chlorella reduced oxidative stress in cigarette smokers. Regular smokers are known to have greater levels of oxidative stress, which can make them look older. People in Chad, Korea, and Japan are known to have low rates of HIV/AIDS. Results published in the Journal of Applied Phycology in 2012 (15) reveal that this may be due to the amount of algae that these populations consume. In the study, researchers split 11 HIV patients into a brown seaweed group, a spirulina group, and combination of both brown seaweed and spirulina. After three months, the presence of the disease and the amount of HIV in the blood remained stable, and one subject continued the study for over a year after that and showed some improvements in these areas. Due to the small sample size, however, more research is needed. In a study published in the Journal of Nutritional Science and Vitaminology in 2010, researchers discovered that spirulina supplementation lowered the intimal aorta surface up to 48%. This suggests that spirulina can help prevent strokes. Spirulina may benefit people with sinus problems, including allergic rhinitis. In a study published in the journal ISRN Allergy in 2013 (16), spirulina was among the most common herbal supplements used to treat 230 allergic rhinitis patients. Sinus-related symptoms associated with allergic rhinitis include sneezing, a stuffy or runny nose, and post-nasal drip. Chlorella vs. Spirulina: How Much Should You Take? Spirulina and chlorella come in capsules, tablets, and powders. Half a teaspoon can be added to smoothies with protein powder, bananas, and other ingredients. The added ingredients will help hide the strong tastes associated with the algae. Spirulina can also be added to raw deserts that include cacao powder. You can also mix spirulina or chlorella in water. As far as dosage, it’s best to start with a small dose and work your way up. It’s recommended to take three to five grams of spirulina daily. Chlorella, on the other hand, can be used in higher doses depending on how you are using it; detoxification, for example. 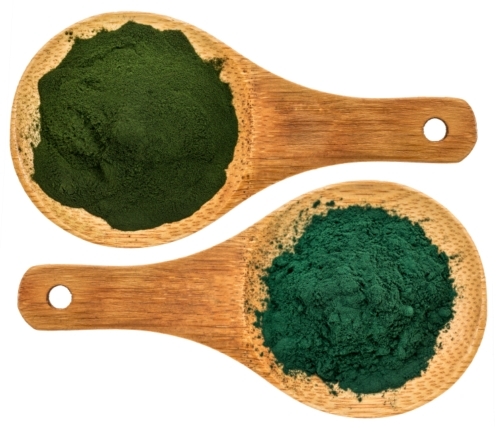 Chlorella vs. Spirulina: Are There Side Effects? In the battle between chlorella vs. spirulina, side effects are also possible. For instance, some chlorella side effects include digestive upset, fatigue, lethargy, headaches, shaking, vertigo, sensitivity to sunlight, and swelling of the tongue or face. However, most of the symptoms associated with chlorella are typical to any detoxification program. When it comes to spirulina or chlorella, it’s vital that you only consume high-quality algae, free from contamination. Some side effects linked with contaminated spirulina include thirst, liver damage, weakness, vomiting, nausea, stomach pain, shock, and a rapid heartbeat. Which Algae Comes Out on Top? Which freshwater algae wins the battle between chlorella vs. spirulina? It really comes down to preference. Spirulina arguably contains a greater amount of nutrients overall, but chlorella is also loaded with benefits and is a better source of chlorophyll. I recommend trying chlorella and spirulina on alternate days. 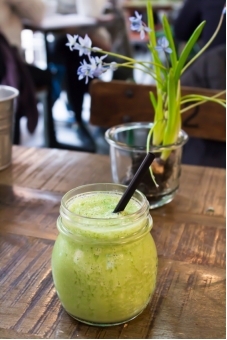 Add chlorella to your smoothie one day, and then add spirulina to your water the next day. You definitely can’t go wrong choosing either superfood.